Less longeing. Less resistance to spur and other aids. Diminishes some annoying stall habits. Ingredients are limited to amino acids, enzymes and vitamins: no prohibited substances. 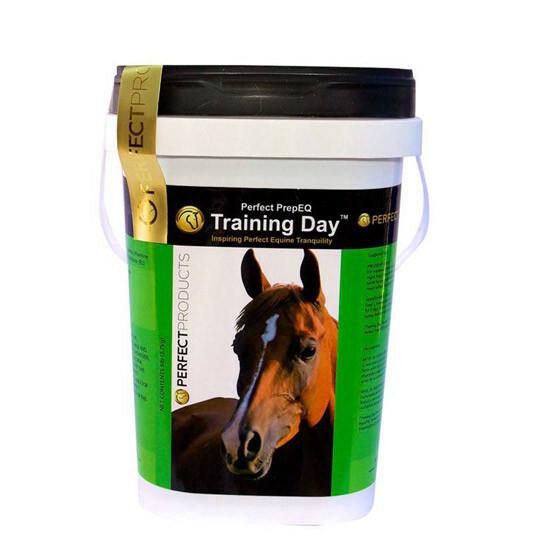 PERFECT PREP EQ TRAINING DAY is safe for extended use: Works well on stall bound horses. 2 oz. feedings morning and evening day before performance, 2 oz. feeding morning of performance and an additional 2 oz feeding 3 hours prior to performance.